Sam Gordon: Bikes, On Bikes, On Bikes! It’s day 4 of my adventure and it’s been a whirlwind of adventure since I’ve gotten to Copenhagen. From the prevalent bicycling commuting culture, to Tuesday swing dance nights at the Studenterhuset (I am God awful at dancing), to getting to know my Kollegium, it’s been nothing but a blast so far. Bikes, on bikes, on bikes! 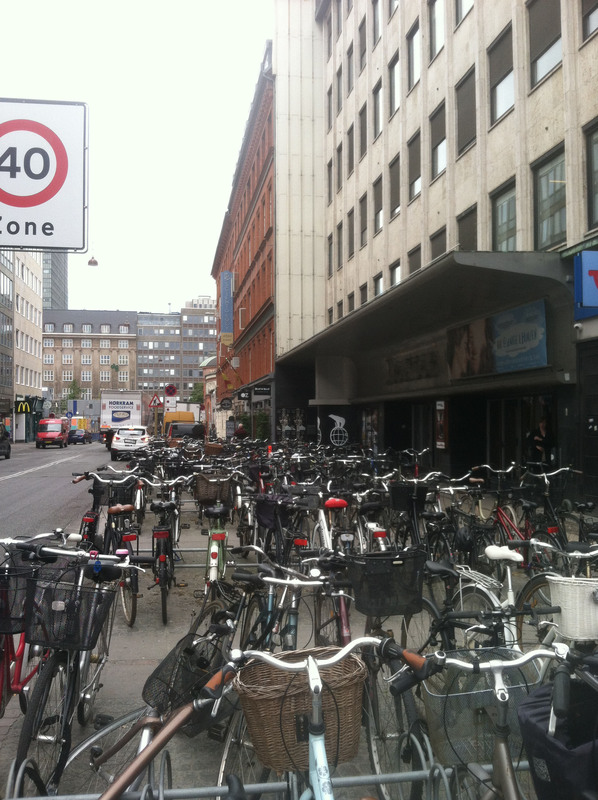 They really were not kidding around when they said that Copenhagen had a very prominent biking culture. Literally, people bike everywhere, and not really for exercise. People bike because it’s the most convenient way to get around. I actually just rented a bike yesterday for what will be ten weeks spent in the city. It’s honestly very scary getting on the road with other Danes for the first time! Naturally, there are all kinds of rules of the road that you can only learn on the fly, such as hand signals for turning, passing etiquette, making sure you’re looking at the correct set of stoplights, etc. On my way home yesterday I accidentally ran a red light, (the stoplight for turning cars was green and the one for bikes was red) and found myself under fire in a hail of angry honks from a turning car. Embarrassing. My name is Sam Gordon and I hail from right outside Washington, DC in Bethesda, Maryland. Ever since I was a kid I’ve wanted to be an architect. This interest stems from the fact that my dad is originally from Chicago, a city which features in my opinion the most beautiful architectural skyline in North America. During the summer after my junior year of high school I was enrolled in a three week architecture studio program at the University of Maryland. I absolutely loved it. This class pretty much cemented my goal of entering a career in design. I am now a rising senior at Hobart and William Smith Colleges in Geneva, New York, located in the cozy confines of upstate New York’s Finger Lakes region. I am an Architectural Studies major with an intended concentration in urban design. Prior to when I was thinking about applying to DIS, I knew very little about Denmark. I had simply imagined Copenhagen as a tiny, small, cold, Scandinavian harbor town. Upon further research, mostly through past DIS student blogs, I began to learn a whole lot more about what Copenhagen has to offer. It’s actually a thriving city of about 1 million people, its summer months are beautiful, and it’s well regarded as one of the most successfully designed cities in the world. This last fact alone is what particularly reeled me in. What better place to study urban design than in such a well regarded city in the field? It was actually over a year ago that I was accepted to study in Copenhagen for this past spring semester, but for various reasons I was not able to go. However, a new opportunity presented itself in the process and that opportunity came in the form of applying to DIS’ summer program instead, which will last ten weeks. During my time here I will be taking a three work urban studies course called Livability in the Modern City, and a seven week architecture studio course called Architecture Foundations Studio. During these ten weeks here at DIS I hope to enhance my knowledge and gain a new perspective on urban design, make some good memories, and hopefully make some new friends in the process. When I was originally applying to study abroad programs in the spring of 2013, it came down to three cities: Copenhagen, Prague, and Rome. The three programs offered in these cities all had something to offer in the field of architecture and/or design. How could I possibly choose one of these? Each seemed equally fascinating. I took to the internet. Blogs on blogs on blogs. I creeped on and read as many blogs as I could find about study abroad experiences in each of these cities. From this creep-age, I was able to see through the eyes of students my age who had spent weeks and months in each of these cities. 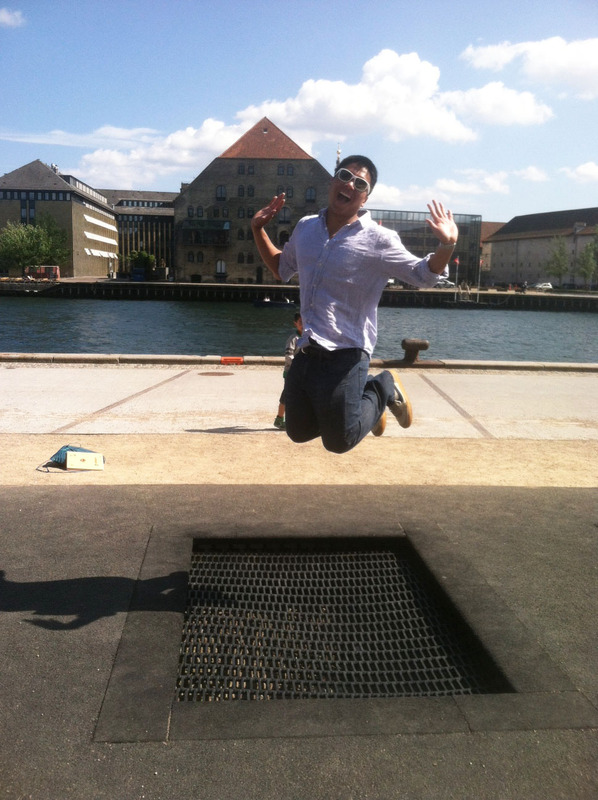 Ultimately, the progressive, off-the-beaten-track city of Copenhagen won out as my top abroad destination choice. Additionally, DIS seemed to offer all that I could ever ask for in terms of providing the ideal abroad experience. My choice was set in stone and I never looked back. Ultimately, I want this blog to serve two purposes: 1) to be informational and entertaining for others, and 2) to serve as a public diary of sorts that I can look back on fondly for memories.